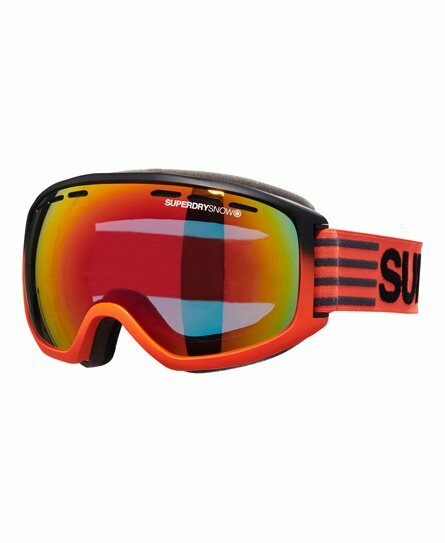 Superdry men's Pinnacle snow goggles. Complete your snow look this season with these essential snow goggles, featuring an adjustable strap with Superdry logo branding and cushioning face foam for your comfort. The Pinnacle snow goggles have also been designed with anti-fog technology, perfect for keeping your vision clear on the slopes. These goggles have been completed with a subtle Superdry logo in the corner of the lens.